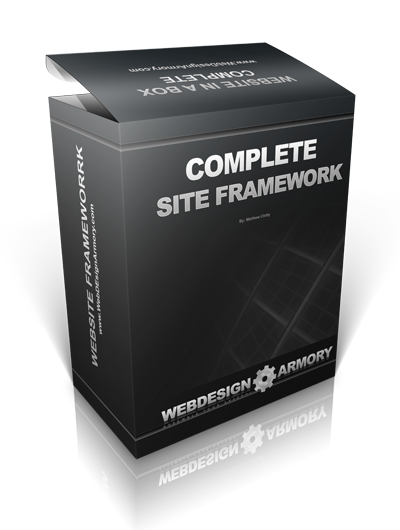 Why spend countless hours programming and learning the intricate in's and out's of website design when you can simply deploy sites using the already proven framework. The exact same website delivery system that I developed to increase my productivity 200% and deliver client and personal websites in literally half the time or less! This system earned me thousands of dollars profit on each client and allowed me to deliver top quality sites with little effort - giving me the edge over other local webmasters and designers. 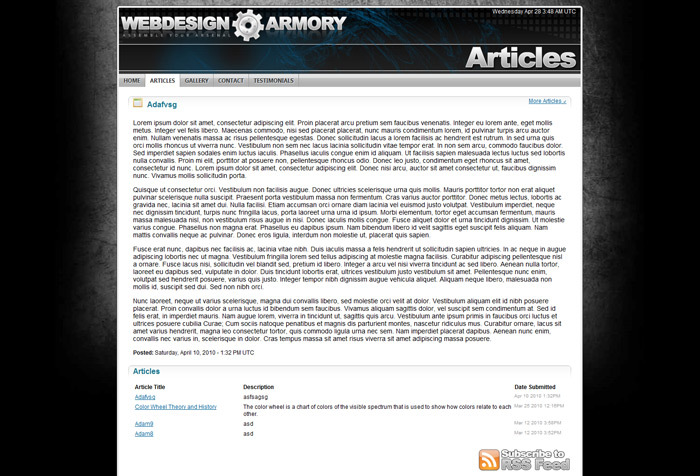 Database Driven end-user article content for your end user to add content. 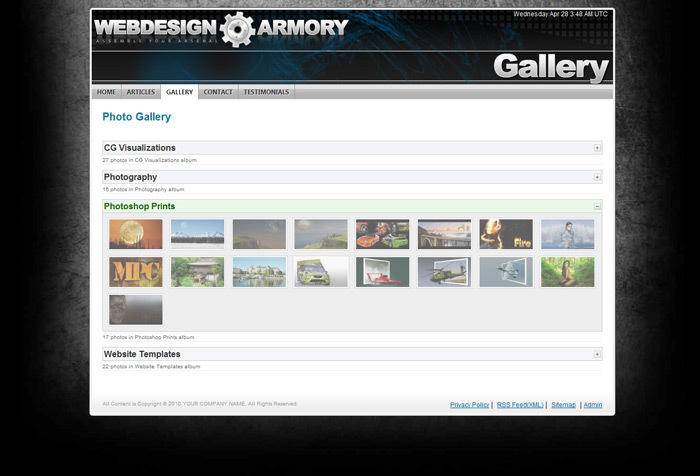 Dynamically created XML site map and internal Site map including gallery images. Dynamically generated RSS feed for news and article submission. Easy to use WYSIWYG editor for submitting new articles. Latest news and testimonials for your clients. CSS based layout coding for ease of customization. Install file to automatically build your database structure. Site settings included in a single file for ease of editing. User generated SEO friendly image galleries with upload and auto thumbnailing. Completely footprint free - no powered by links. Un-encrypted source allowing you complete freedom to edit the code and customize your sites as you require. Short URL writing by default on all sites built. 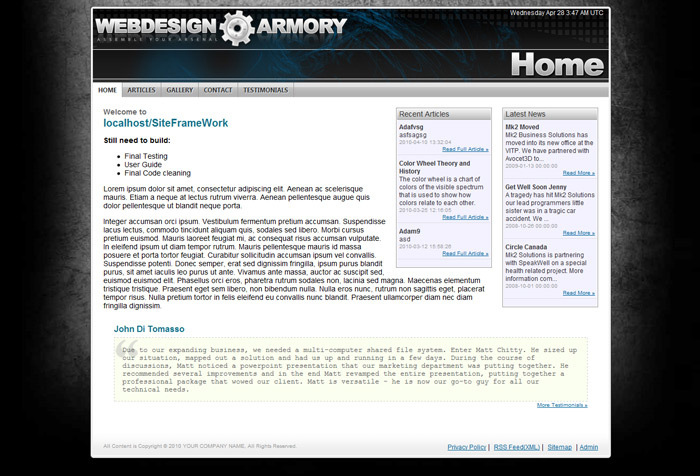 This Website Framework dynamically generates much of its pages and content based on entries in the database. Similar to blogging software however it is simplified for your client or end user to add unique article based content. I have been using this system to develop and launch client and personal sites for over a year now and I have established this system to be extremely easy for the end user (your client) to administer article and news content to their site. The real beauty of this system is that it does not completely remove you the web master from the equation as there is content and functionality that your client will need you for. This system is designed to increase your productivity and speed up delivery of powerful basic website's for your clients while being able to charge for features that you would normally have to take much time in development to provide to your clients. Buy today and I will include at no extra charge and receive the development source files used for designing themes and templates. Are you offering your own products? Need a secure way to provide one time downloads for clients or customers? 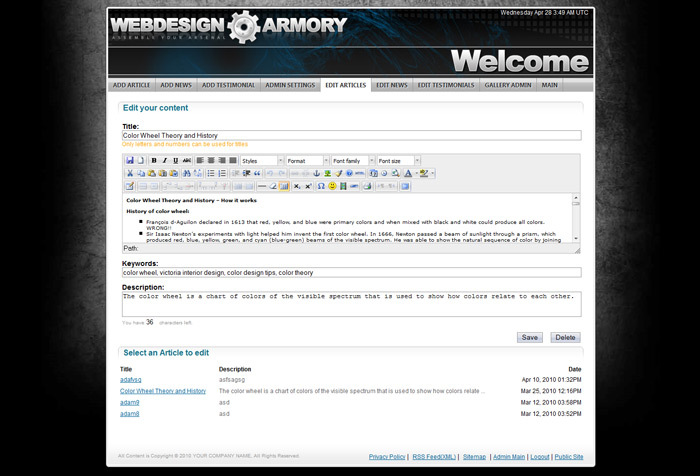 This stand alone script will protect your downloadable content or packages. This package has hundreds of hours of programming and has been tested on many client sites. To have this built by a programming team would cost you thousands of dollars in programming expenses. 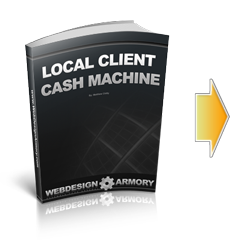 I routinely charge $2500 for each site that is developed on this package and now you can too! don't miss out on this One Time offer to receive this incredible profit generating package. Order today and I will also through in my "Local Client Cash Machine" package at no extra charge. So many internet entrepreneurs like yourself are completely unaware of the instant income available from your local community. You could literally be making money 24hrs after using the methods detailed in this package - the same way I built my business. Buy today and I will include at no extra charge and receive my invoicing tools (.xls) documents to simplify your quoting and invoicing for clients. Everything is done for you, no messing around with calculations and creating your own documents. All the hard work is done for you! All the contracts and agreements that you will need to manage your business and your sub contractors for services. Save on costly writing fees with my Contracts & Agreements package your business is setup for success out of the gate. Everything you need to make your first and future sales smooth and professional. With years of experience and success I have compiled a list of the best value reseller services to generate a monthly revenue. Maximize your profits and reduce the amount of time you actually work. Using these services and resources will literally build you a massive residual income business starting with your first client. Writing highly converting advertising copy is an art form and a costly outsource. I have provided for you advertising templates for your local ads, the copy included in these ads can be used when marketing your services to local business through the channels detailed in my package. This is my complete business pacakge and tools. You can immediately profit from your first client using this framework. Note: A knowledge of HTML/CSS and basic PHP expereience are required to edit any element of the default site layout or functionality.. Photoshop is required for editing of the .PSD files included in the bonus package. Experience working with your hosting control panel is requrired to setup an empty database.